We gladly ship by US Priority Mail to the United States, Australia, Canada, France, Malta and New Zealand. If you need to ship to another country please Contact Us for shipping. Documents are not Automatic Downloads. 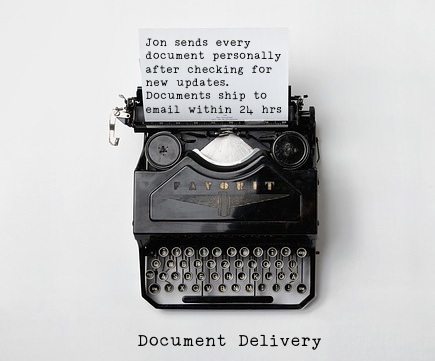 Jon personally prepares and updates each document. They will be delivered to your email within 24 hours.